Woo Hoo! Fridays are just my very favorite day of the week. The fun outlook of the entire weekend ahead is the best and we have some big plans for this weekend. I am SO excited to surprise my kids later today with a little trip to the sunshine state. It's a big secret and they are totally clueless, but be sure to check back next week to hear all about it. 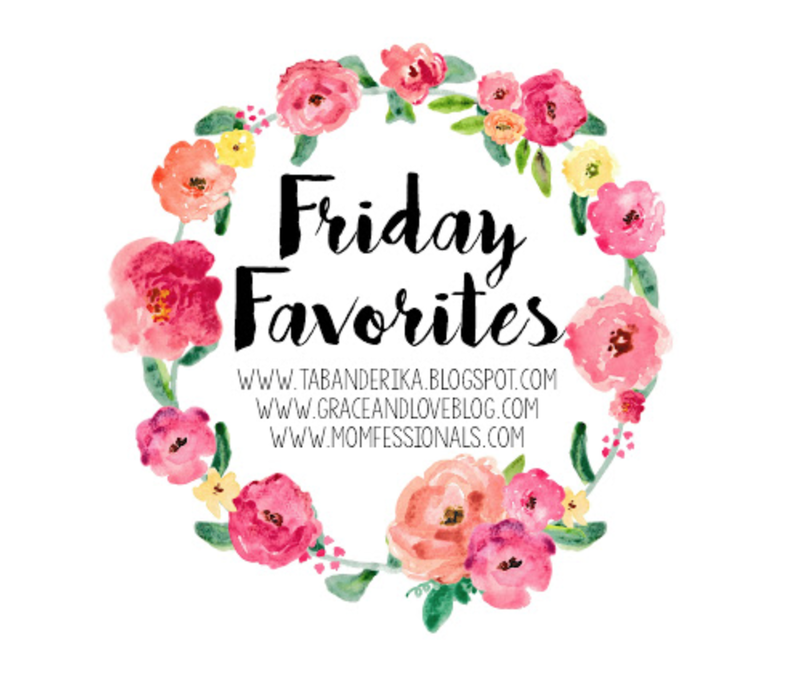 For now though, I wanted to link up with some of our favorite bloggers to share my Friday Favorites from this week. Like I mentioned above, this weekend we are making a quick trip down south to the sunshine state. While that has me really excited for warm weather and sunshine, I started thinking about wearing shorts and tank tops and took a little evaluation of my skin tone. Pale and white is pretty much what I saw. I'm all about protecting my skin with sunscreen and not being exposed to harmful rays, but let's be honest...we just all feel better with a little color, right? 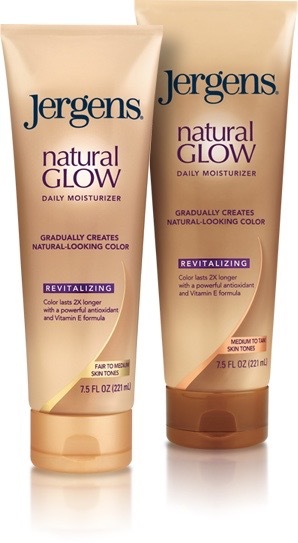 To do that safely, one of my favorite things to use leading up to spring and summer is this Jergen's Natural Glow. I start out with the fair to medium skin tone and work my way up to the medium to tan skin tone bottle. I love it because it builds color gradually and you don't have to worry about streaking, lines, looking orange or any of that mess. 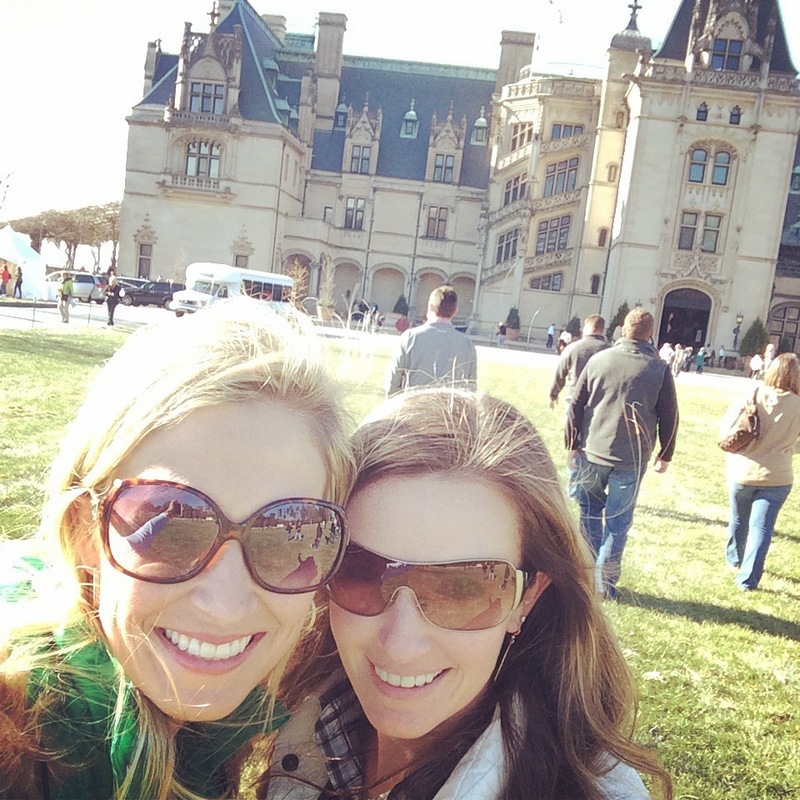 If you follow us on Instagram you might have seen this picture last week. 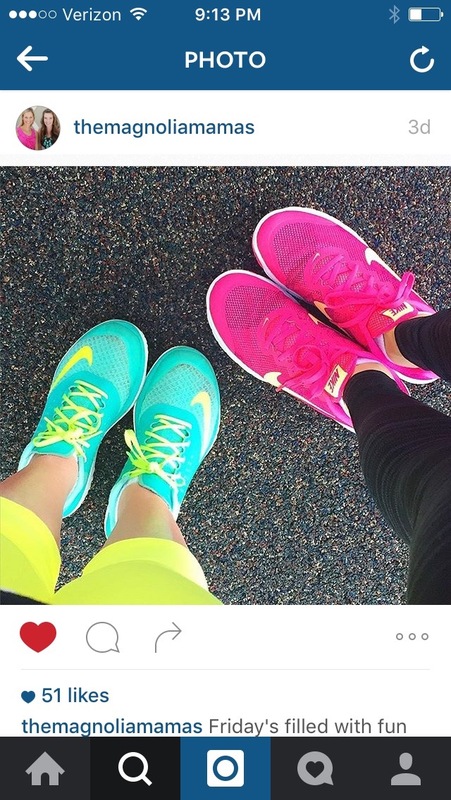 Jen and I both showed up to Chick-fil-a last Friday in our bright shoes! It was actually my first time wearing mine and I am so in love with them. I had just bought them earlier that week! My last pair of tennis shoes were about 3 years old so I was due for a new pair. I had really been wanting some hot pink ones and hadn't been able to find any that I liked. Then I came across this pair of Nike Flex and they were exactly what I had been looking for! I love the bright pink and orange and I feel like not only will they keep me motivated to exercise and get in shape for summer, but they will also match a lot of my regular clothes for those days when I need to be on my feet a lot and on the go. I have not owned a pair of Nike's in probably 10 years. Recently the ones I tried on did not feel comfortable to me and didn't have enough support, but this style is very comfortable. I found that they ran a little small. I usually size up a 1/2 size in tennis shoes, but for these I went up a full size and they fit perfectly. The weather we've been having has been nothing short of amazing. I'm hoping that this spring weather is here to stay and that it isn't just a tease. It makes me want to wear all of my fun spring colors and soak up the sunshine. This week I wore my Old Navy mint Rockstar skinny pants twice! This outfit keep me warm on the chilly morning, but was perfect for the warm afternoon and I felt like spring in this beautiful color. 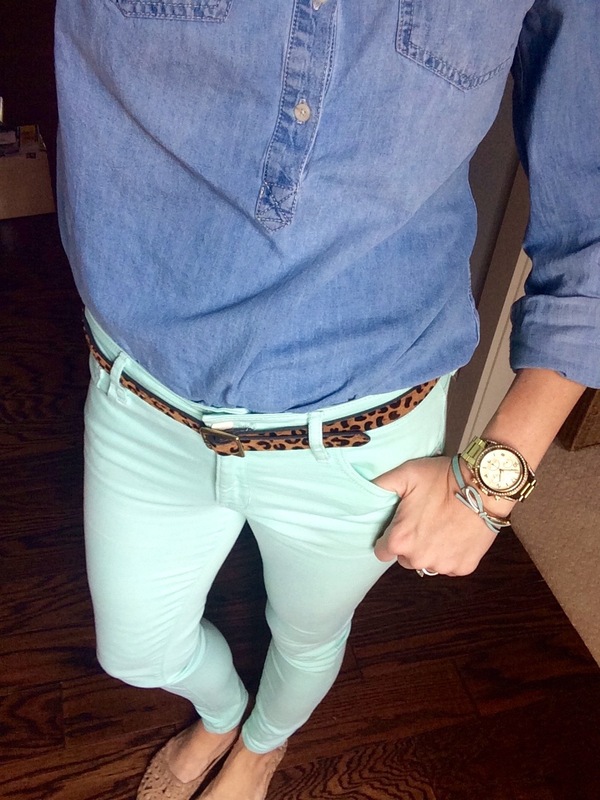 I have these pants in lots of different colors and love them. I'm hoping they will come out with some more fun colors this spring. Right now there are not as many options. They are comfortable, stretchy and affordable. I'm in my car a lot driving kids from one place to another and constantly running errands for my never ending to-do list. Because of this I listen to the radio a lot. I love all kinds of music from pop to country and oldies to hip hop. I don't discriminate when it come to music. 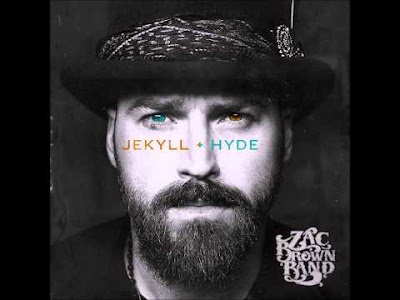 I do have a very favorite song right now though...I love Zac Brown Band, Beautiful Drug. Have y'all heard it? I'm obsessed and every time it comes on I crank it up and sing along! And my Friday Favorites would not be complete unless I mentioned my favorite and very best friend!! !